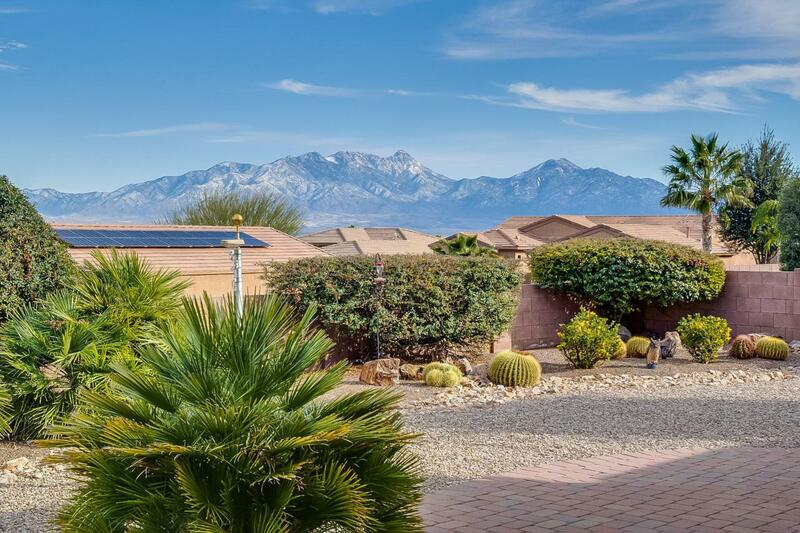 This gorgeous southwest gem features 1761 sq' ft' of open/functional space, desirable features throughout and terrific rear patio Santa Rita Mountain views. 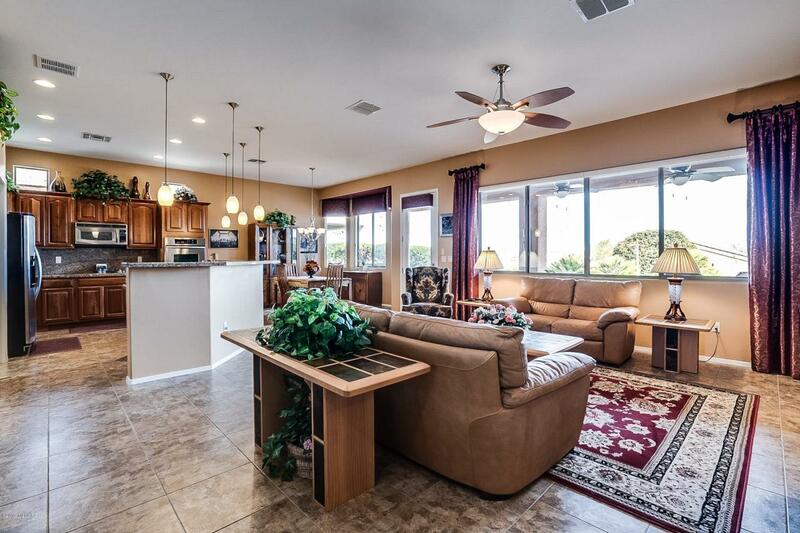 The open kitchen offers granite backsplash and counter tops, stainless steel appliances with dual ovens. 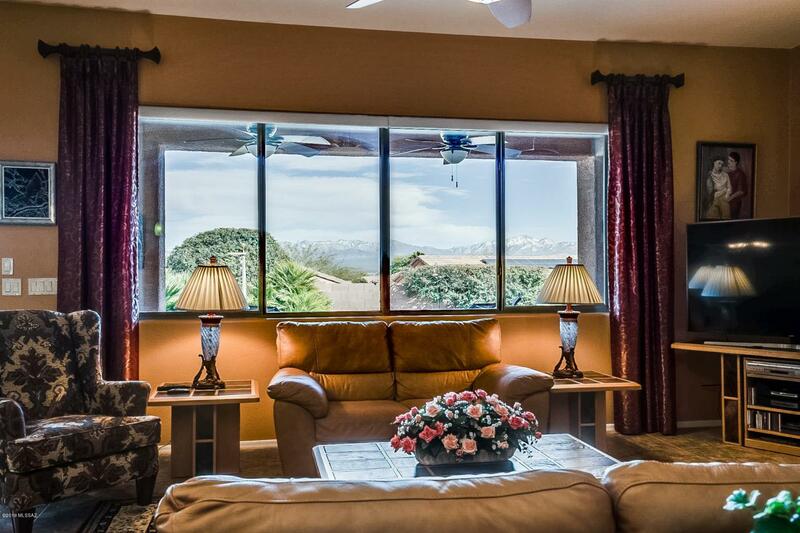 Unwind from a long day of play watching the beautiful Arizona recede from the Santa Rita Mountains from your cozy kitchen nook or spacious great room. There is neutral tile throughout, except for the bedrooms. The master suite offers, expanded bay window, dual sinks, walk-in shower and a nicely sized closet. Den is open and mult-functional. There is an additional den off the laundry room. The garage is an extended 2.5 car with plenty of storage space. 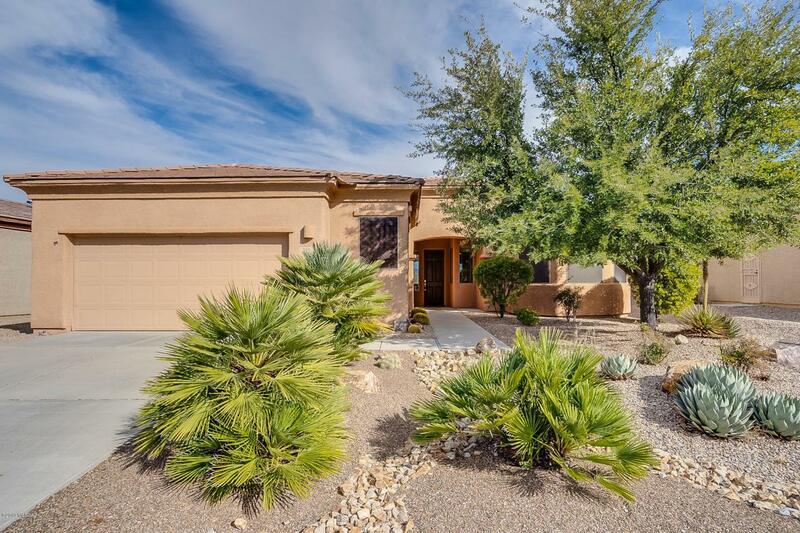 This is a must see and move-in-ready home. Call today for your private tour.